Kris has a talent for putting herself in the shoes of her audience, giving her the ability to communicate what they need to know in a way that’s both engaging and easy to understand. 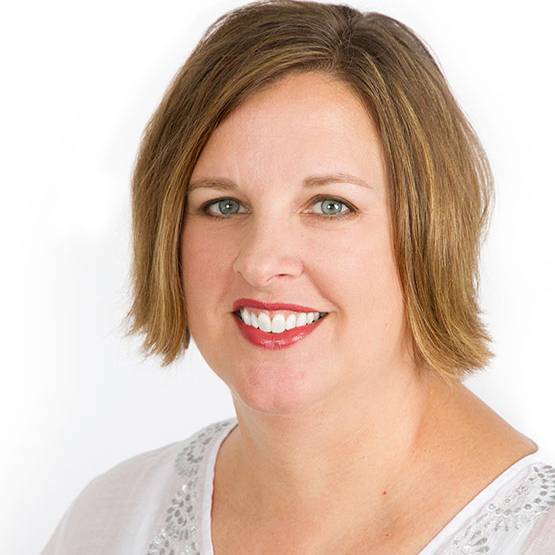 Kris has experience writing and editing both print and online communications with corporate, agency, and consulting firms. Kris has produced deliverables that include everything from marketing collateral and web copy to video scripts and print ad copy. She was also an executive speech writer for a while! Kris has a BA in Psychology and an MA in Education – not exactly what you would expect for a copywriter, but they help to advance her thinking about each audience (what motivates them, how they learn new info best, etc.) and how to tailor her writing to reach them. Kris lives with her outdoorsy husband, brilliant daughter, and ill-behaved pug in the Cincinnati suburbs, but secretly she dreams of rehabbing an old building in Over-the-Rhine. In Kindergarten, Kris dressed as Wonder Woman for Halloween (back when the Lynda Carter version was on TV). Now she drinks her coffee out of a Wonder Woman mug – some heroes never change.